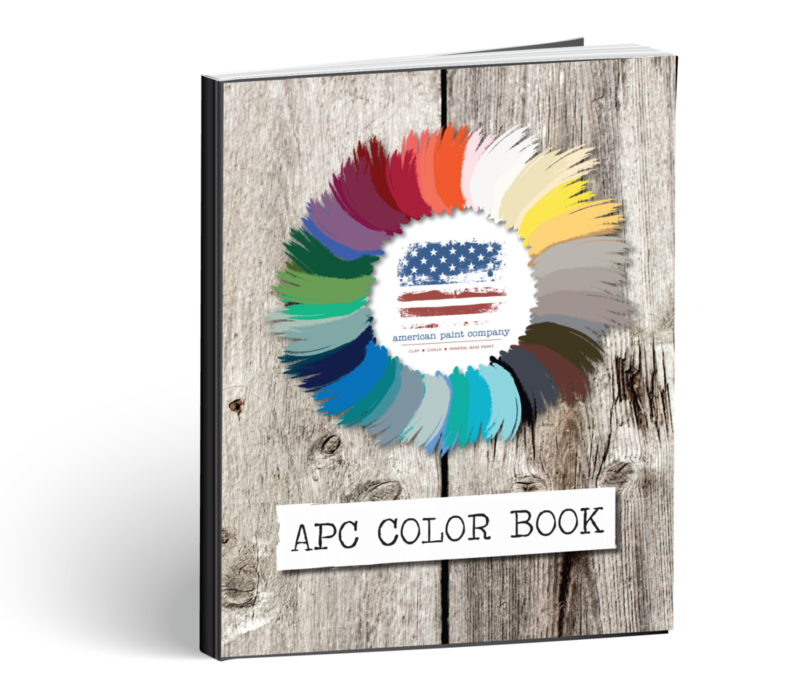 American Paint Company carries a variety of popular finishes, embellishments, and other products to help you achieve the results you are looking for. 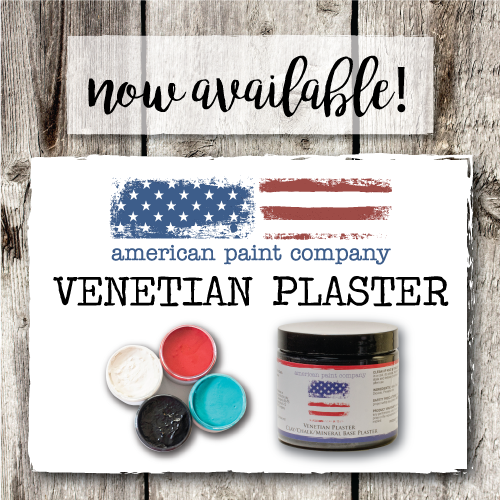 Introducing Venetian Plaster from American Paint Company! Venetian Plaster is an eco-friendly Clay/Chalk/Mineral base Plaster available in 4 colors. The thick, smooth Venetian Plaster is easy to work with and leaves a beautiful raised finish. Venetian Plaster is a very thick paint/ plaster that works great with stencils, rollers and can be troweled on to a surface. Using the Venetian Plaster can leave a 3D effect and beautiful design on your furniture project. Typically the thickness is 1/8 -1/16 of an inch, or the thickness of a credit card but is also depends on the look you are trying to achieve. You can buff the Venetian Plaster with a buffing cloth to give it some natural sheen, or you can seal with any of the APC sealers and finishes. 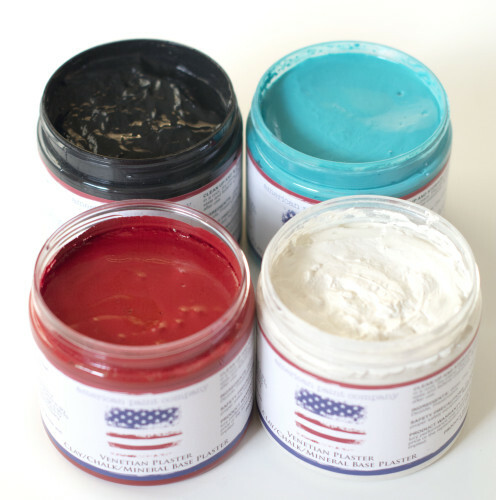 Venetian Plaster comes in 4 colors including Home Plate (white), Cannonball (black), Shoreline (blue) and Fireworks Red. Our Metallix Paint is very popular because of the bright and fun looks you can get with the product. 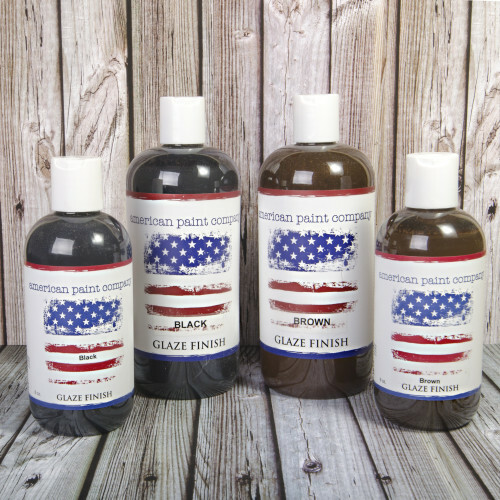 We offer three different colors of glaze: Brown, Black, Clear (to create a custom color glaze). We offer 5 different colors of Micas: Silver, Pewter, Copper, Gold and Black. Mica can be added to our waxes, Top Coat, paint and Glaze. Mica will add either a subtle hint of shimmer to your piece or it can be pounced on directly to your freshly waxed piece to give an intense Mica effect. When using mica keep in mind a little goes a long way, start out slowly when adding to your piece. An organic and 100% natural cleaner for surface prep prior to painting and cleaning wax and paint brushes. 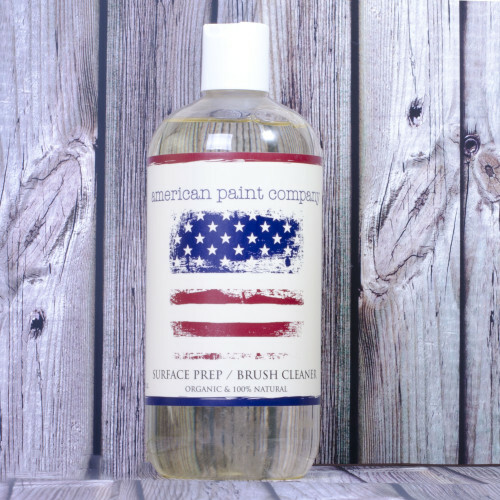 Our brush and surface cleaner is also an organic product that is essential in prepping your piece for paint. Cleaner can either be directly applied to a damp sponge or 1 TBSP can be added to a small squirt bottle. Once brush and surface cleaner has been applied to your piece, use a damp rag to remove any remaining residue. Allow the piece to fully dry before applying paint. Check out the complete tutorial on how to prep your furniture using the Surface Prep product. 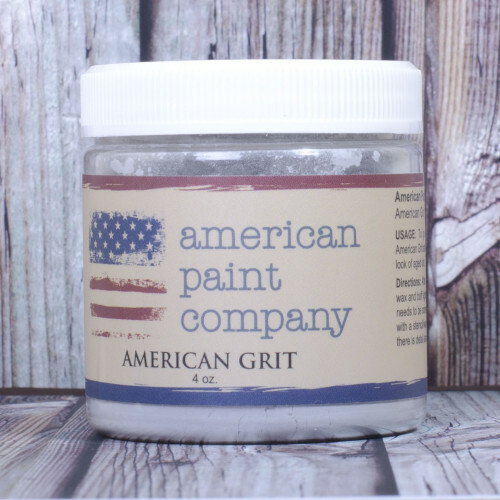 American Grit is a fantastic, simple product to utilize for creating aged, patina finish on your piece. Generously wax your piece, allow to cure for about 15 minutes. Use a separate brush and dip it into the grit. Apply liberally and outdoors (this is messy). Pounce this onto your waxed piece and allow to cure for an additional 15 minutes. 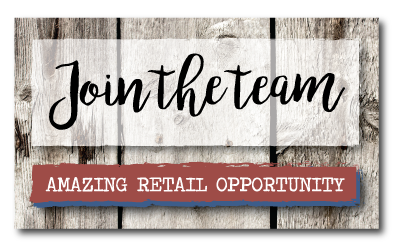 Take your brush and dust off remaining wax. While doing this your will also buff your piece. 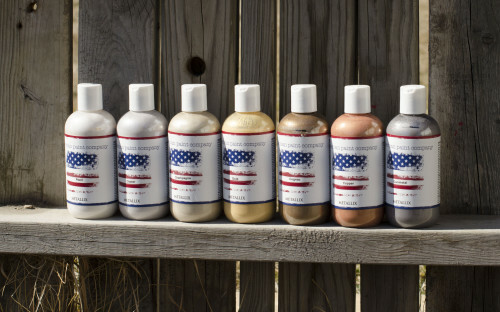 If you have any questions about our finishing products, please contact us.